This charming home offers a dramatic great room with a impressive view and a cathedral ceiling that spans the entire length of the house. It adjoins a formal dining room vaulted ceiling. The large kitchen flows into a sunroom/ nook leading outside onto a covered patio. The large master suite features a luxury bath with a very large walk-in closet, separate shower and soaker tub. The 2-1/2 plus car garage is a few short steps to the kitchen through a laundry room. On the opposite side of the house are two more bedrooms (or a study) and the second bath. 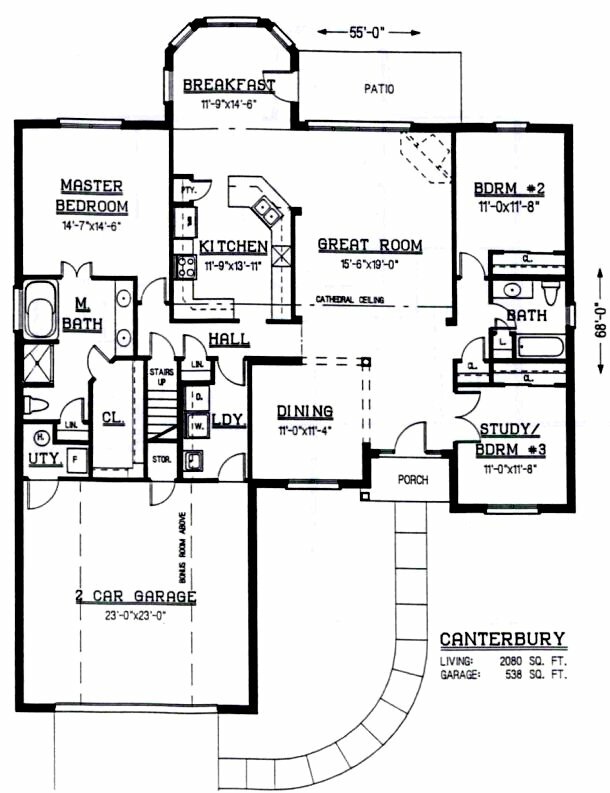 The Canterbury is a well-planned home for the discriminating buyer. Optional bonus room over garage and large covered back porch.